In this episode Serina and Jeff talk about Networking and Social Networking. The internet has really enabled us to reach more groups, more people and more resources than most of us could have imagined 15 years ago. Sure, we shake hands, trade business cards and meet and greet on occasions, and in between those moments, the internet has brought on an entire new capability of exchanging information and accessing resources. But, we are not alone. Most of our interactions on Social Networks are logged and cast in stone for the world to observe and recall. This brings a responsibility to one’s use of Social Networking as more and more people, companies and agencies use the network for their data gathering, just as easy as doing a Google search, yes, a Google search on you. 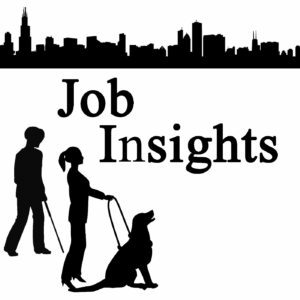 Join the Job Insights team, Serina and Jeff, as they build upon some strategies and suggestions for navigating the networking field. Get Networking! And remember, Social Networking is a resource for you and your potential employer. Keep your presence on the up and up.